Pitfall Ownership and Access – Do You Have the Keys to Your Own Site? Welcome to my new series on how to protect your business from the pits, snares and predators of the Wild World of the Web. 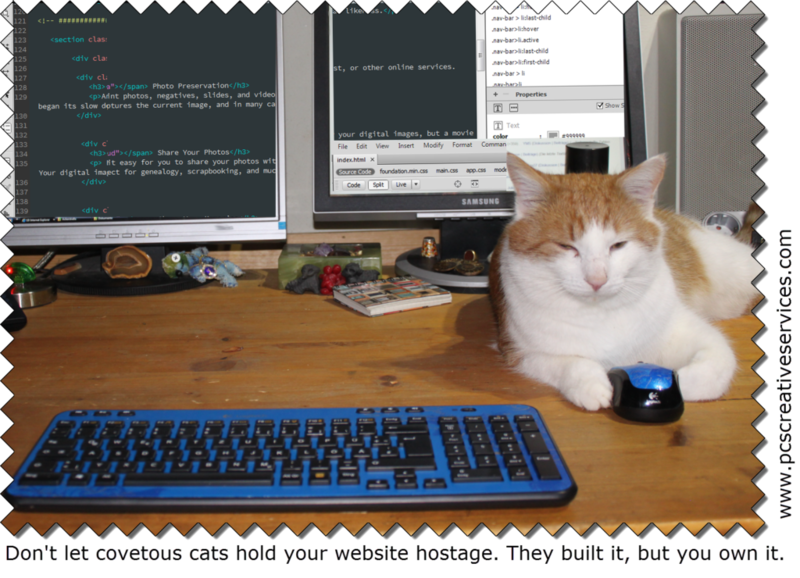 Today’s cautionary tale, the cat trap of website hostage holders. Let’s face it, web designers can sometimes be divas. A few may have control issues and find it hard to pass control to a business owner for a website they built. We have fears… will the site be “ruined” by someone else making changes to it?! Maybe we worry about losing business to another company? Control belongs to the person who owns a website, not the person who needed the access to build the website. Customer service is what should keep customers coming back, not a lack of necessary access. As a business owner, you have to place trust in the hands of your creative team. In order to launch and update a site, there are usernames and passwords and control over the content that must be granted to get the work done. But that doesn’t mean you, as a site owner, shouldn’t receive the keys to your own site. Many business owners will have a designer set up all of the elements they need to be online. They may not want to register their own website domain or the account for their website hosting. They may not want to install their WordPress site or database. While it is usually better to do as much of the registration and account setup as possible, you can have those things set up for you and then transferred. Ideally, you would create accounts for your designer(s) with the level of access they need, but without full access to your main accounts. Some people find this difficult to do, although most website hosting companies can help you get “developer” accounts set up. Before you make a final payment on a website, make sure you get the keys to it so you can move it, change it, or work with a different web designer if you need to. You may have the greatest web guru ever, a paragon of trust and virtue, but that doesn’t change the risk factor of having that one person be the only one with the usernames and passwords and administrative rights to your site. I recommend that you keep a file/folder with important details about your website. If you don’t know these details, then you really can’t prevent your site from being held hostage. Mitigate your risk of having to pay to have your site rebuilt. If you do need to work with a different company, it helps them out to have these types of details readily available. Do you know these important details about your website? Domain Name? Where is it registered? When is the domain registration due for renewal? What email address receives renewal notices? Who provides your website hosting? This may be the same company as your domain registration, or it may be a different company. What type of hosting plan do you have set up? Is it the basic plan or one with more features? How do you sign in to your website hosting account? Do you have the login link and the username and password? What type of site is it? WordPress, Joomla, other CMS, custom HTML? If your site is in a content management system like WordPress, do you have an administrative user account and password? Does your site type use a database? If so, do you know the username and password for that database? What email address receives notification messages from the hosting company? 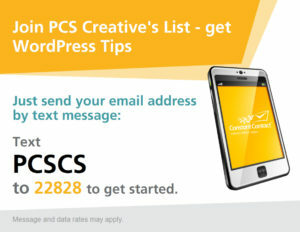 What is the primary email address for a WordPress site? How portable is your site? If your provider goes out of business can you move it, or do you have to rebuild it? While it can be pretty common to have a website redesigned or rebuilt on a regular basis, make sure you are doing it for the right reasons. If a company isn’t giving you good service, then you have the right to move on to one that will. Honest designers will make it easy for you to replace them, but make you love working with them so much that you’d never want to. However, the most honest and wonderful person or company can still have emergencies or go out of business suddenly. Don’t be left hanging if the worst should happen. 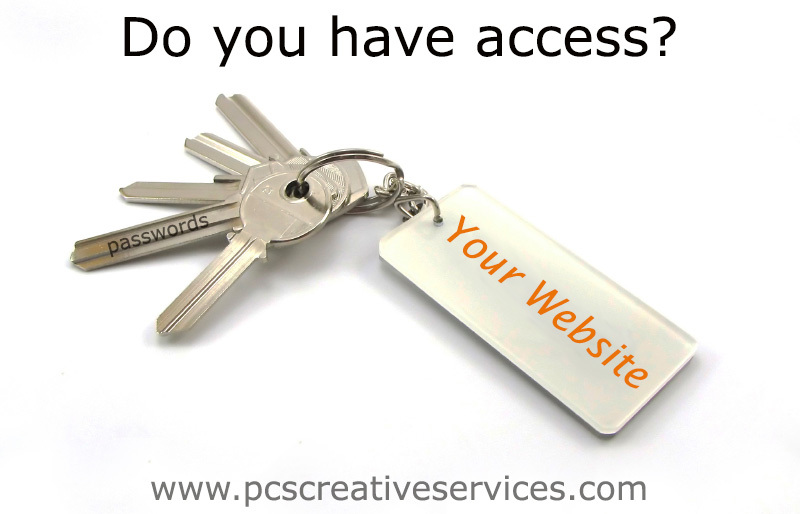 Get the keys to your website.